Operating a successful building, contracting and sub contracting enterprise is becoming increasingly demanding. Most enterprises simply do not have the resources to operate a business that is financially sound, sustainable and compliant with the complex regulatory framework that exists today. This is where Master Builders KwaZulu-Natal can assist you. The Association has been in existence since 1901 and has the resources, infrastructure and experience to assist you in promoting, supporting and protecting your business. Ernest worked for PostNet Southern Africa (PTY) LTD for 12 years and at different times throughout that period, held the post of Regional General Manager in three provinces. He has had his own IT Hardware supply and support business and was the managing partner in an online outdoor activity web portal venture. 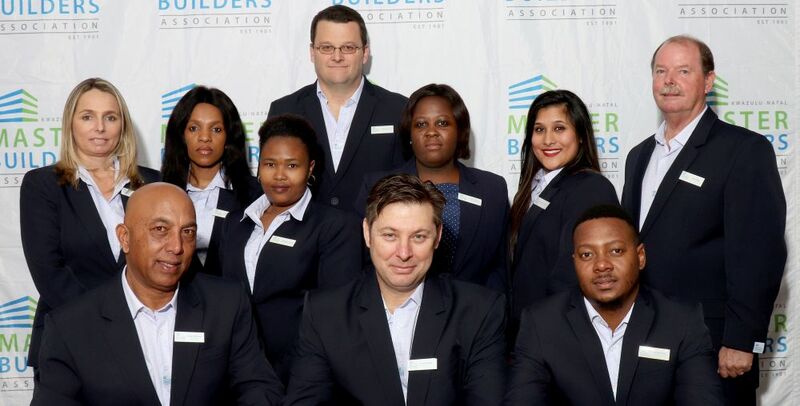 He joined Master Builders KwaZulu-Natal in 2009 to assist in the Commercial and Online Department before being appointed Regional Manager for the Association's Durban region. Overseeing the Association’s membership services and marketing initiatives, including inter alia general member contact, networking and events, member promotion, online services, website and public relations. Management of the Association’s Regional Managers. Performing, expanding and improving of Association services. Represent the Association and its interests on various committees. Participate in both operational and strategic aspects of all the Association’s activities. Assist the Executive Director with specific tasks, projects and programmes. Rojendra (Roger) started his career at Iscor Newcastle in 1984 as an Apprentice Electrician, once qualified he worked in various industries including coal mines. He then continued into the business world where he owned various businesses from Service Station, Fast food outlets and Signs and Graphic Business. Roger then studied Sales and Marketing Management via Damlin College and Safety Management via Nosa. After lecturing at GS College in Mpumalanga in the fields of Electrical Engineering and OHS, in 2013 Roger joined Master Builders KwaZulu-Natal as the Northern Natal Area Manager before moving to Durban in 2019, to fulfil the role of Durban Area Manager. Paula came onboard earlier in the year as Master Builders KwaZulu-Natal Regional Manager for Zululand. Hans then took up employment as a production Manager with Protea Chemicals, where he was responsible for production and quality control of all products manufactured for the South African Market. During this period, he gained vast experience in human resources, marketing and labour practices. When Protea Chemicals decided to relocate their plant to Johannesburg, Hans took the decision to start his own business. Our Midlands Regional Manager was born, raised and educated in Pietermaritzburg having matriculated at Maritzburg College in 1993. Gareth spent the next 8 years working for On Tap, a local plumbing and sanitaryware supply in Pietermaritzburg and gained excellent experience from his time there. After 2 years at a local steel company, their downsizing prompted Gareth to take a job with Graeme Pope-Ellis at Reapers Agricultural Supplies as a Regional Sales Representative where he covered the coastal areas from Western Cape through to Pongola in KZN.